There are three divisions of the IRS that typically deal directly with taxpayers: the Examination Division; the Collection Division; and the Criminal Investigation Division. Each of these divisions has its own unique function. 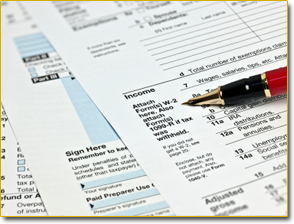 The Examination Division audits individual and business income tax returns, including forms 1040, 1065, 1120, and 1120S. The Collection Division collects delinquent taxes and secures unfiled returns. The Criminal Investigation Division investigates suspected criminal violations of the tax laws. Well over one hundred million federal income tax returns are filed annually in the United States, and the vast majority of taxpayers who file these returns never have any contact with an IRS employee. But if you are one of the unlucky few who are contacted by the IRS, you need to understand your rights as an American taxpayer. Most contacts are in writing, but occasionally, an IRS employee will call or, in very unusual circumstances, come to your home or business. If you receive a call from an IRS employee, ask for their name, employee number, telephone number, division they are assigned to, and reason they are calling. If one or more IRS employees actually visit your home or business, you should also ask to see their credentials. Once you get this information, you should end the conversation promptly and contact an attorney experienced in handling tax controversies who can tell you about your legal rights as a taxpayer. With over 30 years of relevant experience in the area of tax controversy, Stephen P. Kauffman is an attorney who well equipped to protect your rights when dealing with the IRS. Income tax examinations or audits are conducted either at an IRS office by an Office Auditor, or at a taxpayer’s home or place of business by a Revenue Agent. Office audits tend to be limited in scope (e.g. interest and charitable contribution deductions) and to IRS form 1040. In contrast, a Revenue Agent conducting a field examination at a taxpayer’s home or business has discretion to audit almost any aspect of a taxpayer’s finances. IRS Revenue Agents typically audit complex Schedules C on form 1040, or forms1065 (U.S. Return of Partnership Income), 1120 (U.S. Corporation Income Tax Return), or 1120S (U.S. Income Tax Return for an S Corporation). During the audit, the agent will ask many probing questions, and request sensitive business and financial documents. These questions and requests can cause a lot of anxiety and sometimes embarrassment, even if you have done nothing wrong. A tax controversy attorney can determine if the agent is entitled to the information or documents requested, and more importantly, explain why it has been requested. Your attorney will serve as a buffer between you and the agent, limit the agent’s inquiries to the extent possible, document what information has been provided, and move the process along expeditiously. Once the audit is completed, the agent will discuss proposed adjustments with your attorney. Your attorney can explain the strengths and weaknesses of your position, and advise you about the best course of action. If you reach an agreement with the IRS, you will be asked to sign a revenue agent’s report, form 4549, and the case will be closed, unless you decide to open it at a later date. If you do not agree with the IRS Agent, you will receive an IRS Letter 525 (a 30-Day Letter), which gives you the right to appeal. This first level of appeal is exercised by filing a protest with the IRS Appeals Division. You will have an opportunity to present your case to an Appeals Officer at a hearing. A tax-controversy attorney can prepare a professional protest, and present your case in the IRS Appeals Office in an effective fashion. If an agreement is reached at this level, you will be asked to sign a form 870-AD, which will close the case for good. If you do not agree, you will receive an IRS Letter 531, a Statutory Notice of Deficiency (a 90-Day Letter). Once you receive your 90-Day Letter, you will have to decide whether you want to litigate, and if so, where. You have a choice of three courts: the U.S. Tax Court; the U.S. Court of Federal Claims; and the U.S. District Court. Each of these forums has advantages and disadvantages, and it is important that you make the right choice. For example, in the Tax Court, you are not required to pay the tax before litigating, but you cannot have a jury trial. On the other hand, in the District Court, you do have to pay the tax before litigating, but you can have a jury trial. Furthermore, depending on the issues involved in your case, it is possible that the law (and therefore the result) will be different depending on which court you choose. Tax litigation like any litigation is a complex, time-consuming, and expensive process. It involves a number of distinct stages: pleading, discovery, pre-trial motions, trial, post-trial motions, and possibly appeals to a United States Court of Appeals or even the United States Supreme Court. Along the way, myriad tactical and strategic decisions need to be made, and there are countless pitfalls. Only an attorney experienced in handling tax controversies is competent to guide you safely through this morass in a cost-effective fashion. If the IRS selects your or your business’s return for examination, it is not a happy occasion, even if you believe everything was reported properly. And if you suspect or know something is wrong, like unreported income and/or overstated or improper deductions, an audit can be downright terrorizing. You need the assistance of an attorney experienced in tax controversy, because some IRS employees will overstep their bounds. With over 30 years of relevant experience in the area of tax controversy, Stephen P. Kauffman is an attorney who well equipped to protect your rights when dealing with the IRS. Whether a tax liability has been conclusively established can be a difficult question, but once it has been conclusively established, the IRS will want to collect it as soon as possible. Initially, the IRS will send a notice of assessment and demand for payment. Once you receive this Notice and Demand, you have 10 days to pay, otherwise a general tax lien arises. A general tax lien is not the same as a Notice of Federal Tax Lien, which is discussed below. The IRS will then send a series of notices requesting payment of the tax delinquency, starting with the CP 501, Reminder Notice, Balance Due, and culminating with the Letter 11 and CP 90, Final Notice-Intent to Levy. The IRS has a vast arsenal of tools at its disposal to collect delinquent taxes, including the Notice of Federal Tax Lien, Levy, Seizure of Assets, and Summons. IRS collection matters are routinely handled by Revenue Officers assigned to the IRS Collection Division. These IRS employees tend to be overworked, hard driving, and very aggressive. They are charged with collecting delinquent taxes as quickly as possible. They can and will levy your wages, bank accounts, stocks, or bonds. They can and will put a lien on your home. They can and will serve summonses on your employer, bank, customers, and anyone else who might have information about your assets and income. And under certain circumstances, they can and will enter your home or business and seize assets. Of course, you have rights guaranteed by the Taxpayer Bill of Rights. An IRS employee will give you basic information about your rights, but remember, their primary function is to collect the tax, not protect your rights. So when you are contacted by the IRS Automated Collection System (ACS) or a Revenue Officer from the IRS Collection Division, you will need the assistance of an attorney experienced in handling tax controversies. Stephen P. Kauffman has nearly 30 years of experience handling IRS collection matters. By way of example, Mr. Kauffman can explain how you can file a Collection Due Process Request on IRS form 12153 to challenge an improper lien or forestall an improper levy. He can also explain how you can get the IRS to agree to permit you to pay a delinquent tax on an installment basis, or even settle a large delinquent tax, sometimes for pennies on the dollar, by submitting a financial statement and offer-in-compromise on IRS forms 433-A or 433-B and 656. As a general rule, when you file an income tax return jointly with your spouse, you are liable for the full amount of the tax, even if your spouse can’t or won’t pay his or her share. Fortunately, there are exceptions to this rule which enable an “innocent spouse” to avoid liability entirely, or reduce the amount of tax for which they are liable. Mr. Kauffman can determine whether you qualify for this relief. Income tax avoidance is using legal means to reduce your income tax liability, while income tax evasion is using illegal means to avoid paying your legal tax liability. Special Agents assigned to the IRS Criminal Investigation Division investigate suspected cases of income tax evasion (i.e. criminal violations of the Internal Revenue Code). Typically, Special Agents investigate such crimes as failure to file an income tax return, filing a false income tax return, making a false statement to an IRS agent, evading the payment of an internal revenue tax, and aiding and abetting the evasion of an Internal Revenue tax. Frequently, a taxpayer first learns he or she is the subject of an IRS criminal investigation when two (2) Special Agents come to his or her home or business, display their badges, read a partial Miranda warning, and ask if the taxpayer is willing to answer a few questions. If this happens, this is a very serious situation, and you are well advised to decline to be interviewed until you speak with an attorney who handles tax controversies. Many people believe that by talking they can convince the IRS that they are innocent and there has been a mistake. This is a very risky thing to do. These Special Agents already believe you are guilty of a tax crime, and you will not persuade them that you are innocent by talking. In fact, it is far more likely that by talking you will provide some important piece of evidence which will make it easier for the government to obtain a conviction (sometimes even if you are innocent). Once a criminal investigation is completed, the Special Agent forwards the case to the Criminal Section of the Justice Department’s Tax Division for review. From there, it is forwarded to the local United States Attorney’s Office for indictment by a grand jury and prosecution. If you are the subject of an IRS criminal investigation, or even if you have been subpoenaed to testify before a grand jury, it is very important to be represented by a tax controversy attorney for a variety of reasons. For one thing, an attorney experienced in handling tax controversies can sometimes convince the IRS or Justice Department that a case should not be prosecuted. Another important, but frequently overlooked reason is that communications between an attorney and a client are generally protected against compelled disclosure by the attorney-client privilege, even in the context of a criminal investigation, but communications between an accountant and a client are not protected in a criminal investigation. And a grand jury witness needs to try to obtain immunity from prosecution before testifying, to ensure that he or she doesn’t wind up being prosecuted. Stephen P. Kauffman is an attorney who has experience representing taxpayers who are the subjects of criminal tax investigations, as well as grand jury witnesses. Taxpayers who haven’t filed tax returns for many years sometimes have trouble sleeping at night. If you find yourself in this situation, you might be pleased to know that the IRS has an informal voluntary disclosure policy which may be just what you need to get some needed rest. Mr. Kauffman will be happy to explain the details of this policy, and determine whether you might qualify for relief. FICA and income taxes withheld from employees, which are commonly referred to as trust-fund taxes, are reported on form 941, Employer’s Quarterly Federal Tax Return. When a corporation, partnership, or limited liability company fails to collect, account for, and pay over its employees trust-fund taxes, then any and all officers, directors, stockholders, partners, members, bookkeepers, controllers, or any other persons associated with the business can be held personally liable for those trust-fund taxes under Section 6672 of the Internal Revenue Code. Liability attaches to persons responsible for collecting, accounting for, and paying over trust-fund taxes (“Responsible Persons”) who willfully fail to do so. In order to determine whether an individual is a Responsible Person, an IRS Revenue Officer will interview all potentially Responsible Persons, and complete and have the potentially Responsible Persons sign a form 4180. Great care must be exercised in preparing and signing a form 4180. First, the form 4180 is ambiguous and confusing. Even more importantly, the form 4180 will be used against you in any subsequent legal proceeding. If a Revenue Officer concludes that you are a Responsible Person, they will ask you to sign a form 2751, Notice of Proposed Assessment of Trust-Fund Recovery Penalty. You should contact an attorney experienced in handling Trust-Fund Recovery Penalty cases as soon as you realize your business, or a business you are associated with, cannot or will not pay its full payroll tax liability. There are strategies that can be employed at this point to avoid the problem completely. You definitely need to be represented before being interviewed, at the interview, or before signing a form 4180 or 2751. You should understand that the trust-fund recovery penalty is imposed against individuals personally, even if their businesses are incorporated, and that the penalty is not dischargeable in bankruptcy. Stephen P. Kauffman is an attorney who has extensive experience in this area, written articles about this topic in peer-reviewed professional journals, and appeared as a panelist with a high-ranking IRS official in a video produced by the American Law Institute of the American Bar Association. The IRS is currently conducting an extensive employment-tax initiative pursuant to which it intends to audit extensively the employment-tax returns of 6,000 employers nationwide over the next 3 years. The IRS will audit these unlucky employers’ forms W-2, W-3, 940, 941, 1098, and 1099 looking for issues and additional taxes. The biggest issues will include proper worker classification (i.e. whether workers should be treated as independent contractors or employees); unreasonably low compensation for S corporation stockholders; unreasonably high compensation for C corporation stockholders; fringe benefits; and payroll taxes. Mr. Kauffman has extensive experience in all of these areas, and can help you determine the extent to which you or your business is exposed.